of 29 April 2004, on the coordination of Social Security Systems. Down Load the Directive in PDF file: . .
EU immigrants face new barrier to accessing UK state benefits, Iain Duncan Smith announces earnings threshold that must be reached in order for migrants to qualify for 'worker' status. EU migrants will have to have been earning £150 a week for three months before they can access most UK state benefits,work & pensions secretary has announced. Iain Duncan Smith has decided that from March all EU migrants will have to reach this threshold in order to qualify for "worker" status. David Cameron has been drip-feeding a series of measures to reduce the attractiveness of the UK for EU migrants unlikely to find full-time work here. People who have been classed as workers under the Department for Work & Pensions rules will then be able to claim child benefit and child tax credit, jobseeker's allowance if they lose their employment, and housing benefit. But the DWP interpretation of what constitutes a worker is likely to be controversial since it admits the EU definition is unclear. READ MORE HERE: . . It's a smoke screen as it is couched in the language of migrant and couched in the language of benefit street. I live in France and I am 'inactive' having retired early at 61 and moved here. For eighteen months, I was covered by an S1 issued by the UK related to my last three years National Insurance payments. When I tried to join the French health care system I was refused. While I understand the wider issues concerning French healthcare relating to each department's debt level and the need to reduce this annually I took exception to being forced to purchase a private health scheme. This would have cost 5000 euros per year and I also knew that under EU law, I was covered by Regulation (EC) No 883/2004 on the coordination of social security systems. This lays down the rules that must be applied by Member States in relation to EU citizens and their family members , who have been "insured" in one Member State and move to another Member State. Thus, I reside in France, I no longer work and am not yet in receipt of state pension, which I am entitled to in December 2015. Article 11(3)(e) of Regulation (EC) No 883/2004 provides that I am subject to the social security legislation of the state where I reside. So I wrote to my MP in Manchester and my MEP and they raised the issue with Brussels and I lodged an official complaint. Eventually, I was asked to re submit an application again to the CMU again and this was successful. My view is that, in France, different areas, depending on their level of debt were trying to make savings and one of the first targets were non French nationals or as IDS would say migrants. My thanks go to my MP Ivan Lewis, my MEP Arlene McCarthy and to Commissioner Laszlo Andor and his staff. Well the smoke screen is around the issue of migrants, of should be around the issue of mobility within a European context. The Tories have never been committed to this view. 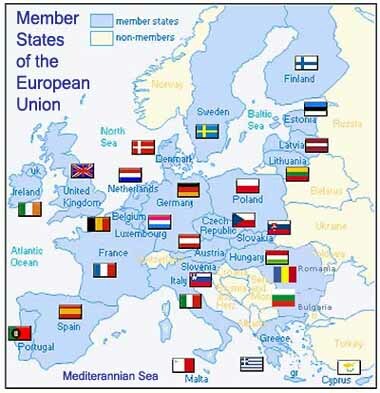 Whichever EU country you go, you probably have to force them to follow the EU directives. I have done the same myself in the past, against France, Greece, and lastly Ireland, because they were not applying the Directive 2004/38/EU Paragraph 5(2) correctly and were asking my wife to apply for a visa despite she was in possession of a UK RESIDENT CARD, under the Directive. In the Case of France and Greece an email to the EU minister and the Consulates accepted in full the directive P 5(2). But with Ireland I had to make an official complaint, which was accepted and after nearly a year Ireland was forced too change their Law.